Molly Jaffe has been studying Pilates for over 12 years. She was first introduced to the Pilates Method while studying modern dance in college. She completed her first comprehensive, Pilates certification through Align Pilates in Minneapolis, Minnesota in 2004 and audited a second Pilates certification program with world renowned teacher, Erika Bloom in 2012. In addition to Pilates, Molly has studied many holistic, mind/body methods including Dance/movement therapy, authentic movement, Yoga, Feldenkrais, Alexander Technique and Laban Movement Analysis. She has studied with master teachers Erika Bloom, Marcia Elizabeth Thompson, Leslie Powell, Kuan Hui Chew, Shelley Studennberg, Deborah Kolway, Amy Alpers and Cara Reeser. In 2009, Molly graduated with honors from Pratt Institute where she received a Master of Science degree in Dance/movement Therapy. Molly graduated from The Institute for Contemporary Psychotherapies in 2017 and is certified in psychoanalysis. She is currently licensed by the state of New York to practice creative arts therapy and is a registered Dance/movement therapist with The American Dance Therapy Association. For several years she worked in mental health and in education where she combined her movement training with her clinical studies to provide comprehensive, therapeutic, support services to her patients. 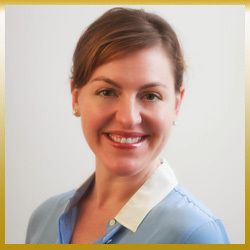 Molly is certified in pre-natal and post-partum Pilates as well as injury rehabilitation. She has taken courses in biomechanics, muscle imbalance assessment and correction, scoliosis correction, gait analysis, fascia release for structural balance and spinal manipulation. Molly continues to stay abreast of the latest research in biomechanics and mind/body methods in order to provide a thoughtful and individually, tailored session to each client. She combines a strong understanding of anatomy and biomechanics with care and creativity, providing a therapeutic and unique experience for her clients.